Are Plastic Cutting Boards Better Than Wood? Years ago, the government advised against using wooden cutting boards, saying they were more difficult to keep hygienically clean than plastic cutting boards. Recent research, however, shows that a wood cutting board is no more likely than a plastic one to harbor harmful bacteria. So it's fine to use either as long as you follow a few basic rules. 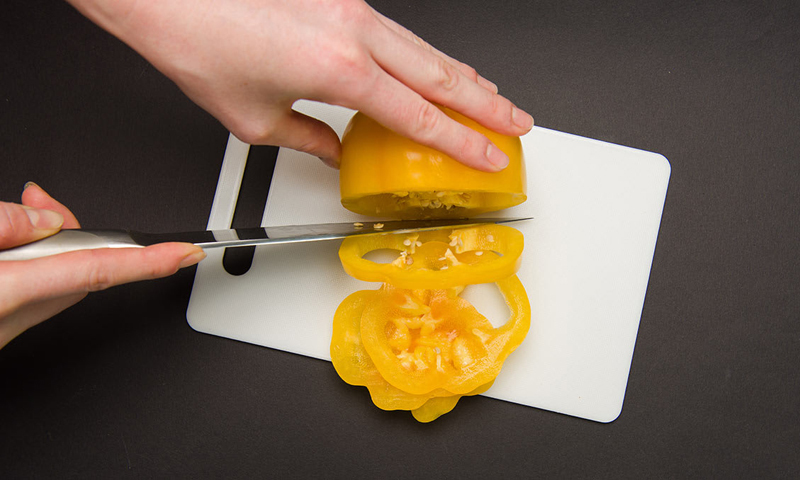 First, use at least two cutting boards to avoid cross-contamination. "Have one board for raw meat, fish, and poultry," says Sana Mujahid, Ph.D., manager of food-safety research at CR. "Have a separate board for bread, fruits, and vegetables." The Department of Agriculture suggests washing wooden and plastic cutting boards with hot, soapy water, or cleaning plastic cutting boards in your dishwasher. Sanitize all cutting boards periodically by flooding the surface with a diluted bleach solution (1 gallon of water mixed with 1 tablespoon of bleach), then rinse with plain water. Always dry cutting boards thoroughly before storing them. This robs bacteria of needed moisture for growth. Over time, any cutting board (plastic or wood) can trap bacteria in fissures and transfer them to food the next time you use it. Harder materials, such as bamboo and maple, are less prone to scarring than softer woods, such as cypress. Replace any cutting board when it becomes heavily scarred. Lifestyle - U.S. Daily News: Are Plastic Cutting Boards Better Than Wood?